One of two compact SUVs from Jeep, the Compass was originally derided as too soft for the Jeep brand, both in styling and philosophy, since it's a car-based design built on a front-wheel-drive platform. With boxier, more traditional Jeep styling, the related Patriot was more popular until the Compass was restyled in 2011 to resemble the Grand Cherokee. 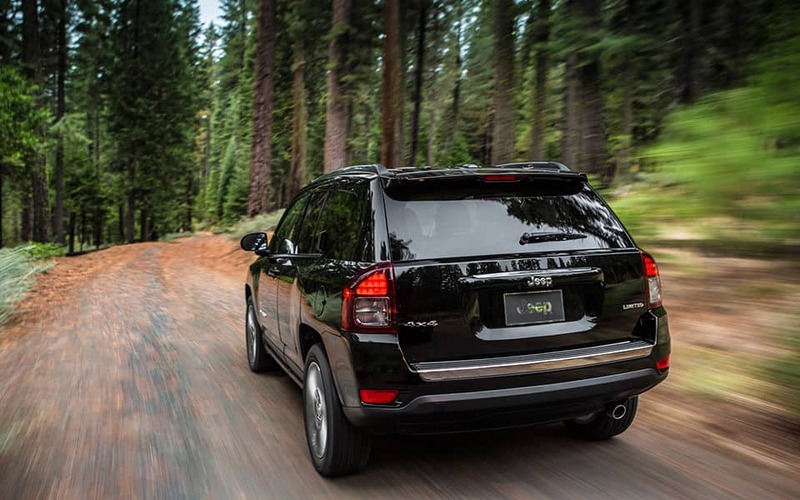 The Compass competes with the Chevrolet Equinox, Honda CR-V, Subaru Forester and many other small crossovers. 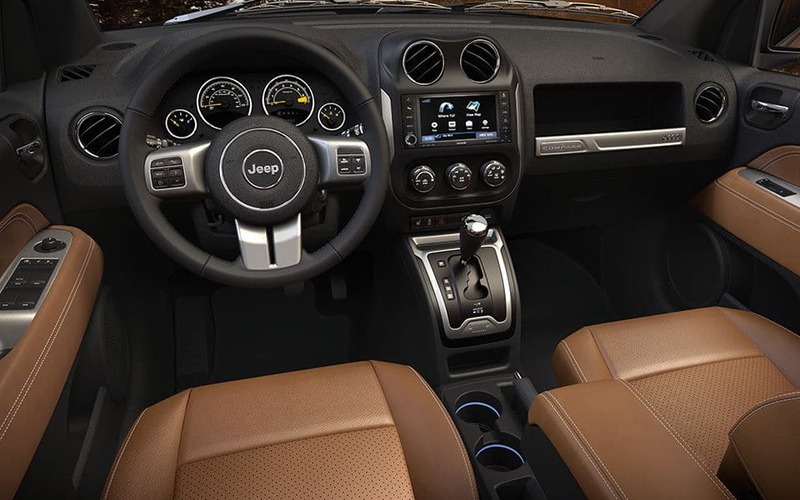 The 2015 Jeep Compass has a new High Altitude Package which includes a leather upholstery, a power sunroof, a power driver's seat and 17-inch bright-finish aluminum wheels. The Compass packs 158-horsepower with a 2.0-liter four-cylinder engine, Available 172-hp, 2.4-liter four-cylinder, Five-speed manual transmission with available six-speed automatic or continuously variable automatic transmission, and Front or choice of two four-wheel-drive systems. The 2.0L World Engine (FWD) offers up to 30 hwy mpg so you can enjoy your adventure even longer. This impressive performance lets Compass attain over 400 miles on a full tank of gasoline. Compass introduces an upscale interior featuring contemporary new fabrics, stylish accent stitching, updated cluster overlay / graphics, new soft-touch features, satin chrome accents, unique instrument panel decorative appliqu� with "Compass" badge and premium soft-touch materials on the center armrest and door armrests for added comfort. Jeep Compass has 16-, 17- or 18-inch aluminum wheels, Fog lights, Heated side mirrors, Roof rails, Available power sunroof. Its interior has Five seats, Cloth upholstery with leather available, Available heated front seats, 60/40-split folding backseat, Air conditioning, Cruise control, Tilt steering wheel, Illuminated cupholders, CD stereo with MP3 jack, Available Boston Acoustics premium speakers, and a navigation system. Compass helps protect you even in the event of side collisions with six airbags including new standard supplemental front seat-mounted side airbags, engineered crush zones, door guard beams, an ultra-high strength steel crossbeam and more. Required in every 2015 Jeep Compass are front airbags, antilock brakes and an electronic stability system. It also has Front-seat side-impact airbags, Side curtain airbags, and an available backup camera. For more information on this vehicle, feel free to give us a call today! Learn more about this model on the Official Jeep Compass Website.